The lovely Sichuan peppercorns are sitting in my spice drawer waiting to be used! And after the fantastic chicken I made I knew I could not leave it long before I found another use for them. 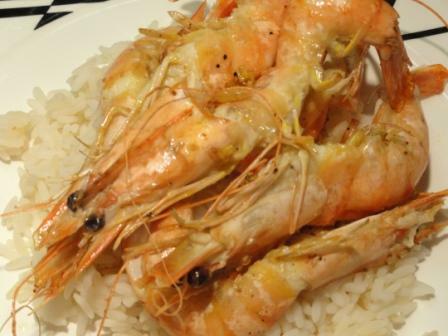 We have a great supplier of prawns and so very little needed to be done in the way of preparation. I took them out of the freezer, defrosted them, patted them dry and viola, they were ready for some love and attention. You do not want to get over enthusiastic with prawns as given the cost, you want to actually taste the prawn meat when you eat them. These Sichuan Pepper Prawns were simply butterflied, marinated, fried and served! What an outstanding meal – I love prawns. I have yet to try Sichuan pepper corns. Thanks for the hint about the numbing!